Probiotic protector of seed, plant roots and immediate rhizosphere. 5 species of Mycorrhizzae with multiple species of beneficial Rhizophere Bacteria. 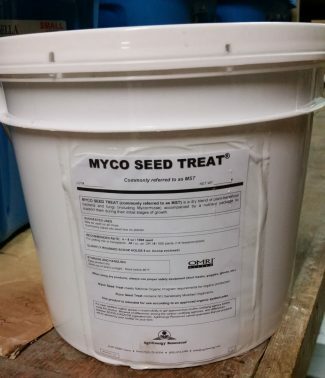 AgriEnergy Myco Seed Treat is a dry formulation, planter box treatment that is effective on seeds of all sizes during germination, emergence, and early growth. May be applied directly on seeds before or after placement in the planter box. For large acreage applications there is an automated dry treater available at Enviropac, Inc.